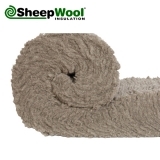 With an increased focus on reducing our impact on the environment, new forms of insulation that have a minimal effect on the environment are becoming ever more sought after. 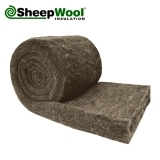 Recycled plastic is one such form of alternative insulation, and here at Insulation Superstore we are proud to offer a range of recycled plastic insulation. SupaSoft insulation from Thermafleece is a new form of insulation that has been manufactured from recycled polyester fibres, around 90% of which comes from recycled plastic bottles. Polyester fibres have been used for years in jackets, duvets and pillows to provide comfort and warmth, and they are completely safe to handle, with no chemical binders or adhesives. By insulating an average loft with SupaSoft, approximately 10,000 plastic bottles will never touch landfill. 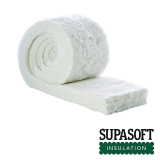 This, combined with the easy installation process and long lasting characteristics means that SupaSoft is a great environmentally friendly insulation alternative.